Pasted over walls and occasional streetlamps in Malang, East Java, are posters advertising Safe cigarettes. 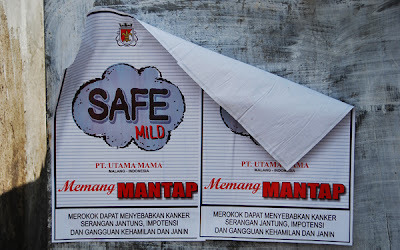 The slogan Memang Mantap means totally awesome or super cool. 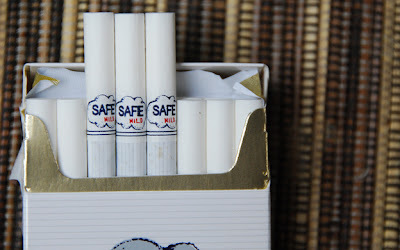 The manufacturers of Safe cigarettes, a company called Utama Mama (which translates as Main Mother), produce two Safe brands: Safe Filters and Safe Mild. The cigarettes are kretek: a type of cigarette made from tobacco and clove. 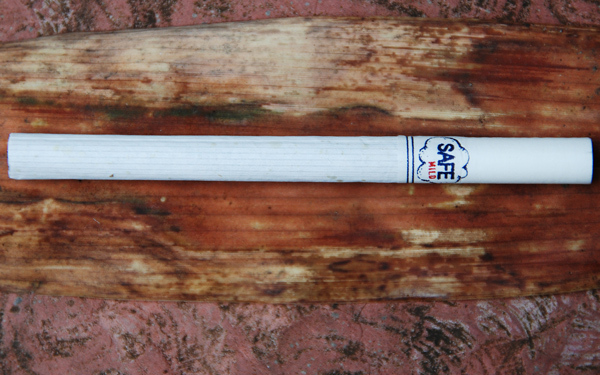 Kretek cigarettes spit and crackle when smoked, have sweet-tasting paper, and a heady clove perfume. Both brands carry the legal warning regarding the risks of cancer, heart disease, impotency and harm during pregnancy. 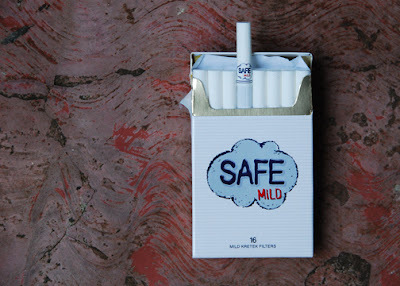 Safe Filters contain 33.8 milligrams of tar and 1.8 milligrams of nikotin: Safe Mild contain half the tar and 0.96 milligrams of nicotine. Bought from a makeshift wooden shop in a village in the countryside of Malang, this pack of 16 Safe Mild cigarettes cost around Rp6,000 ($0.60). A 12-pack of Safe Filters runs Rp4,550 ($0.45). 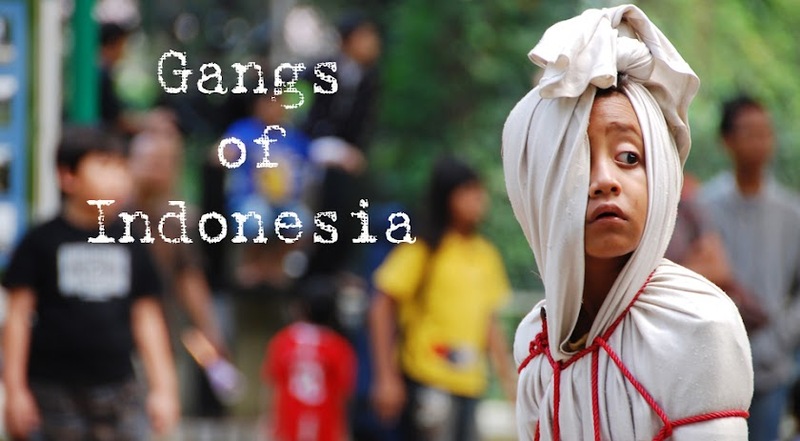 There's more: kids in Jakarta get a taste for dry ice pipes. Sleazy, scummy marketing, and immoral, too. 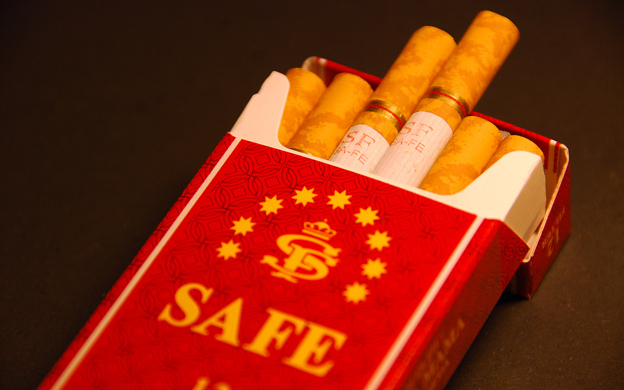 Labels or names implying smoking is safe should be made illegal by the government there as soon as possible. 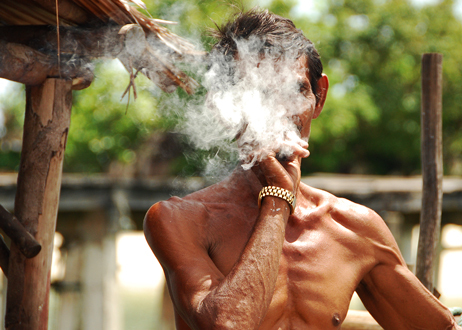 The new law should include large fines to tobacco makers who violate it, and a provision for enforcement.